What separates the GT2 from other contact probes? The Scale Shot System II: This world’s first detection principle delivers the highest accuracy in its class with no tracking errors during high-speed movement. Makes data recording simple with real time data conversion, as well as live updating of Excel worksheets. How durable is the GT2 Series? 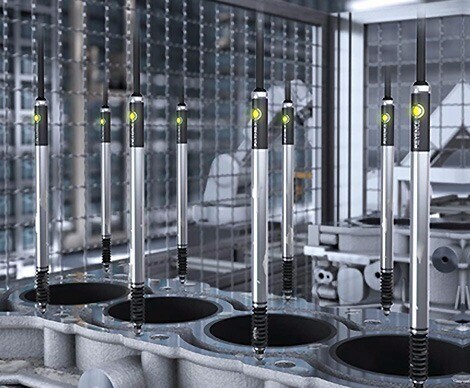 The GT2 Series contact probes are rated to last over 200 million cycles without any maintenance. In addition, the GT2 Series boasts a NEMA Type 13/IP67G environmental rating, which means it can withstand harsh manufacturing environments. Anyone can manage measured data quickly and easily. The sensor’s power is supplied directly from the PC’s USB port, so there is no need for a separate power supply. Up to 10 units can be connected at the same time through a USB hub. Learn more about the GT2-Series Linear Transducers!